One of the salient features of Anglicanism is its distinctive style of worship. Our worship together takes place within a set of formal rituals, the framework of which is laid out for us in the Book of Common Prayer. 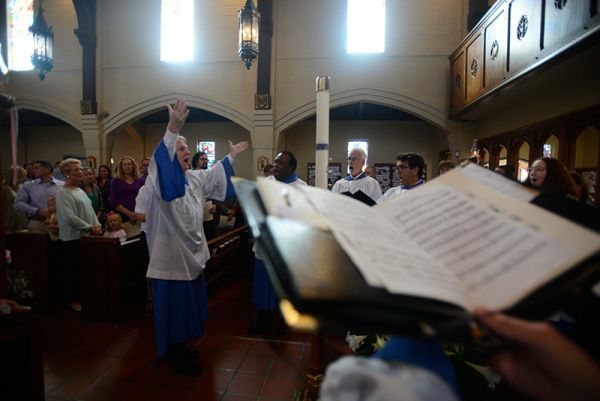 In the Episcopal church, as in other liturgically-minded ones, public worship takes on the shape of a kind of ritual drama, in which the players assume distinct roles. When the main actors in this play put on vestments, they shed their own identities and take on ritual ones. They now play parts, as in a theatrical production. 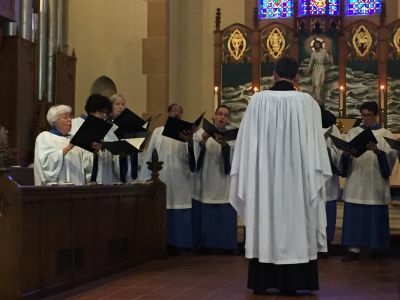 In the Episcopal Church, the formality and the carefully choreographed aspect of its corporate worship indicate the high priority placed on structured liturgy. Music plays a vital role in such formal worship. 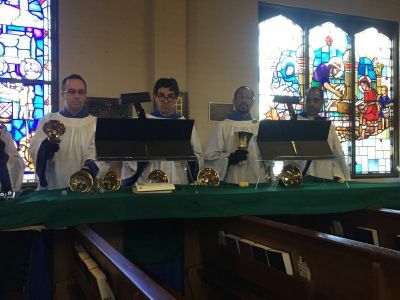 As a kind of trans-verbal medium, music in the service of the liturgy enlivens the spoken word, lending it a transcendent aspect. In many ways, the musical language of our ritual makes it inseparable from our distinctly Anglican way of worshipping. Leadership of the congregation is the primary role of the Chancel Choir. In song, in prayer, or in any ritual movement, the choir is there to serve as a kind of prompter for the congregation. The choir supports and enhances congregational singing.